Before I even begin this post... yes, this icing is shortening-based. Yes, I know that. And there are a lot of good reasons for it. Try it. 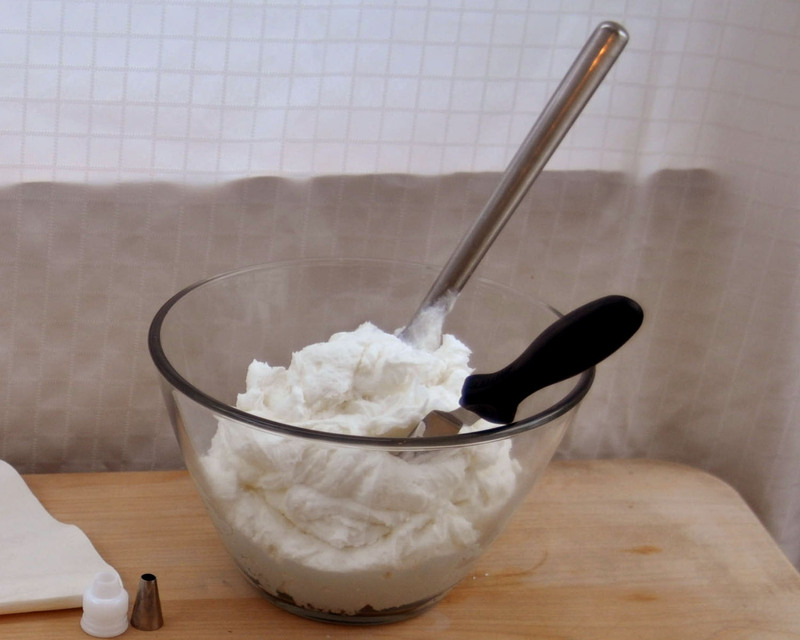 There are a million other icing recipes out there. But this is the one that I use for DECORATING. Just like you use different soap for your hands and for your face, there are different icings out there that serve different purposes. - It doesn't have to be refrigerated. - It doesn't get too soft in your hands when you work with it for a while. - It's white, not ivory. - It holds its color well. 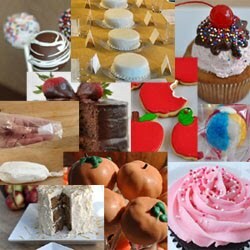 - It "crusts" so that you can get a great faux fondant finish. It is very important that you NEVER mix liquids and powders in this recipe! ALWAYS mix well between additions, and never mix liquids with your sugar or you will get lumps that make it hard to decorate! Place the shortening and the flavorings in the mixing bowl. Mix well. Add the meringue powder to the sugar and add about 1/2 of the sugar to the bowl. Mix well. Add the milk. Mix well. Add the remaining sugar. Mix well. This icing does not need to be refrigerated. However, it tastes best if it is stored in the refrigerator no longer than 3 weeks. It will freeze well for up to a few months. Always bring it back to room temperature before decorating. This icing is a thin consistency, perfect for spreading on your cake, and for basic decorations like stars and shells. 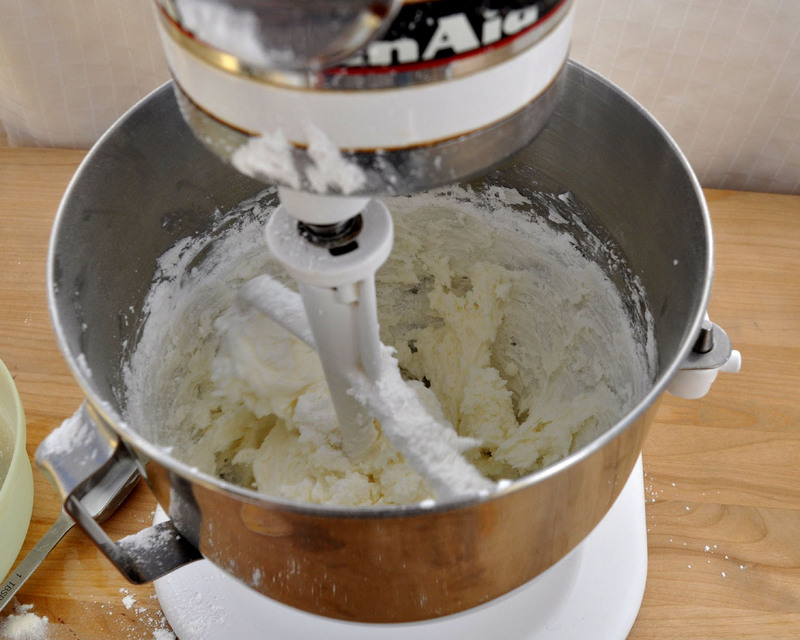 *Note: If you really can't handle all shortening, you can do half butter and half shortening. In that case, use 1/2 cup each butter (at room temperature) and shortening. And decrease your milk to just 2-3 Tbsp. If the frosting has milk in it how does it not have to be refrigerated? I thought any recipe with dairy had to be refrigerated? The high amount of sugar acts as a preservative for the milk and therefore it doesn't have to be refrigerated. Doesn't really make sense to me, either, but I trust the experts who say the same. hi we dont have here butter flavor can i just skip it ? You can skip it. It won't taste quite the same, but up the vanilla flavor, and that should help. where can i get all this ingredients? Is it available at any supermarket?? Most of the ingredients should be available at the grocery store, though I usually use Wilton's meringue powder and butter flavoring, and those I buy at JoAnn's or Michael's (Craft stores). Hi, where do you usually purchase your ingredients?? Can I use this to make a camouflage design on a sheet cake? I'm sure you could. I haven't tried it, but I don't know why it wouldn't work. Good luck! Will this melt if it is out in the hot sun for a baseball game?? I think you have a better chance with this than with something that is butter-based, but I think just about anything will melt in super hot, sunny conditions. Honestly, if you're up for trying fondant, that may be your best bet if you're stuck with lots of heat?? Can I use just Eggs white instead Merenge powder??? I would start by just leaving it out... see how that goes. 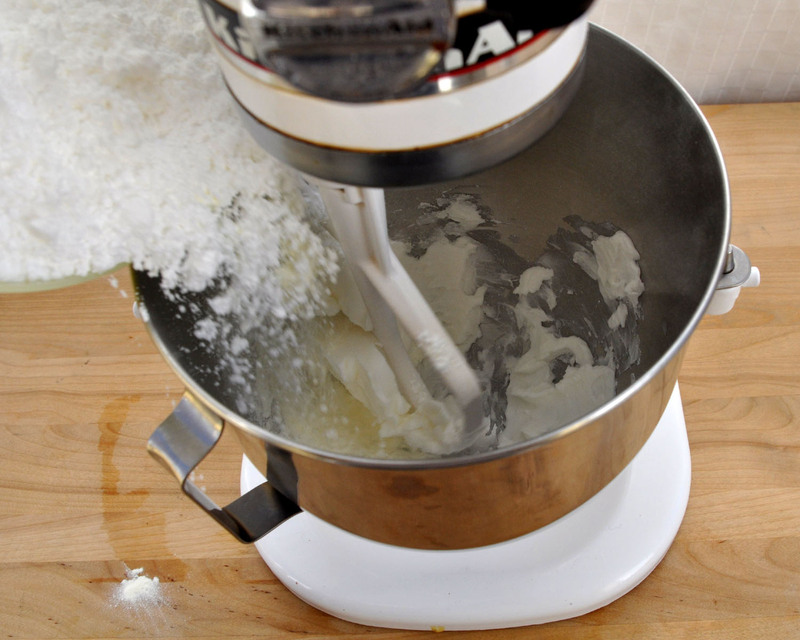 IF you're then not getting enough of a crust, yes you could use egg whites, BUT you need to decrease your liquid then by 2-3 Tbsp. for one egg white. AND you want to get those egg whites to 160-degrees (F) before you use them so that you kill any bacteria in them. I wanted to make a black cat with this frosting, do you have a choc. butter cream recipe so that I can start with a darker base and not need quite as much black food coloring? Hi i cant find meringue powder can i skip it? It will take longer to "crust" without it, but should still work fine! Does this recipe double well or should I make two separate batches? I want to frost a 6 inch, with 3 layers and 24 cupcakes. Thank you! This absolutely doubles well. I double it all of the time. 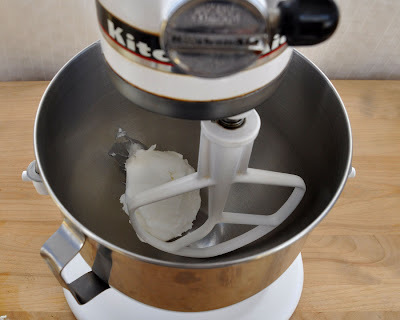 The only challenge would be with a hand mixer, it may get to be a little too much, but if you have a stand mixer, it's no problem! What can I use instead of milk? Would almond or soy milk do? Yes, you can use non-dairy alternatives. You want to try to get some fat in the liquid, to improve the mouth-feel and creaminess of the icing, but any liquid, even water, will work. Can I use under fondant? Absolutely. This holds up fine under fondant. Can you pre make the frosting with colors and freeze it, or is it better to add colors right before decorating? Gel colors will deepen as they set, so I'd definitely freeze it already colored. I just found your blog and I am spending an obscene amount of time looking thru all of your tutorials and ideas. I love it!! You mentioned that this frosting is good for "basic decorations", does that mean frosting cupcakes too? ?